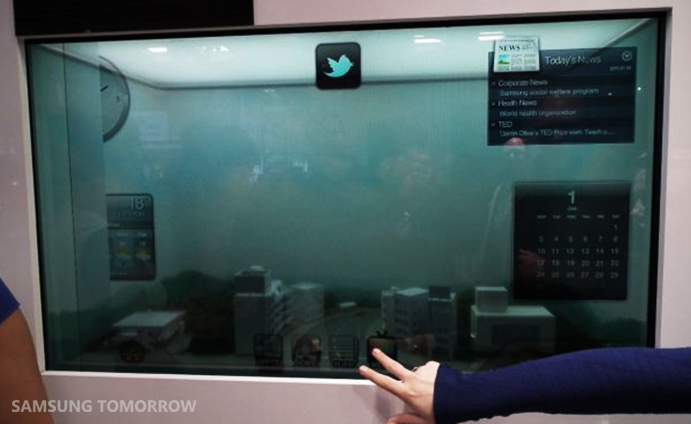 One piece of technology that frequently makes its way into sci-fi movies is the transparent display screen. Featured in blockbusters like “Avatar”, “Minority Report”, and “I, Robot”, transparent display screens are used to convey a sense of the future. 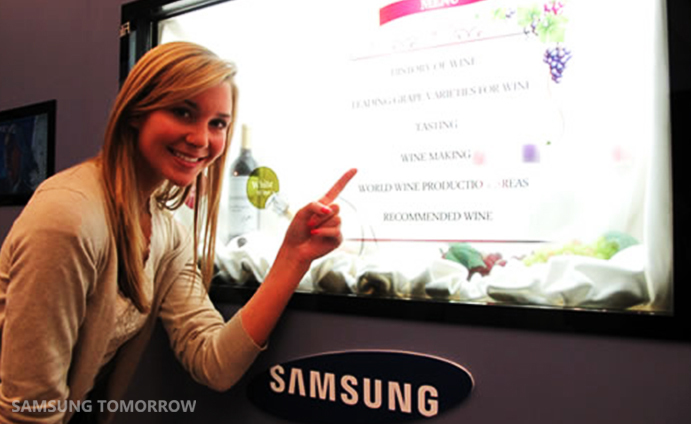 Well, the future is now with the Samsung LTI460AP01 Transparent LCD. Let’s take a minute to learn about how transparent LCDs differ from regular LCDs. Regular LCD panels need BLUs (Back Light Units) as a light source in order to display an image. BLUs are essential for LCD panels to function, since without a light source, nothing would be visible. But a vital difference between transparent and regular LCDs is that the former lacks BLUs. Instead it uses other light sources available (sunlight, in-door lighting). And at night? In darkness you can activate the transparent BLU, a BLU designed specifically for transparent panels, as a light source. In addition to being stylish, another advantage to the transparent display is its energy efficiency. When the transparent BLU is not activated, the transparent LCD uses only 10% of the electricity used by a regular LCD screen of equivalent size. Cool and eco-friendly. There are endless possibilities with the transparent screen. 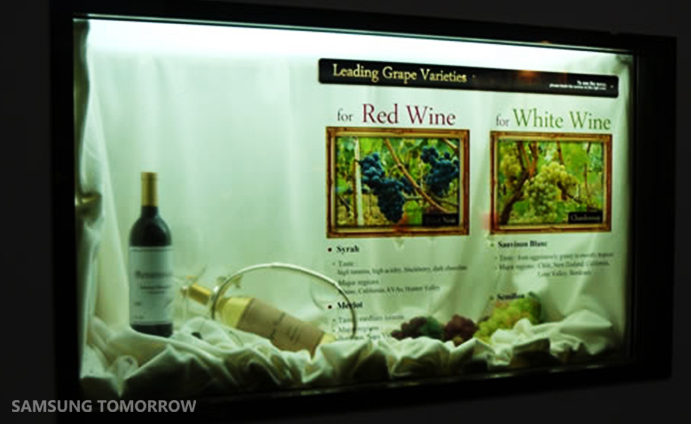 Imagine a product on display, framed by a transparent screen with real-time updated information. The transparent display’s uses are limitless, and are only bound by the imagination. 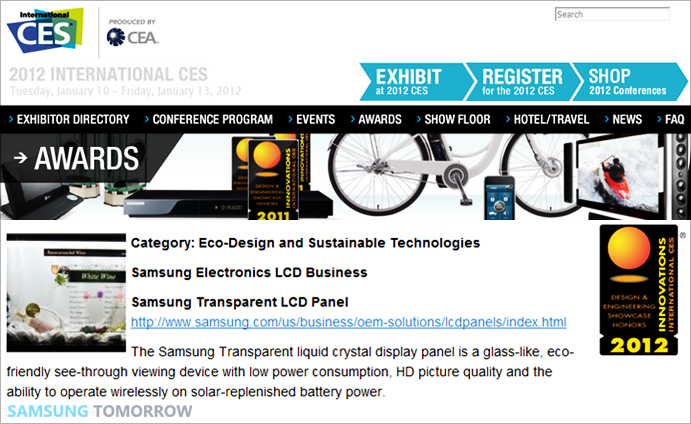 Winner of the 2012 CES Innovations Award, this technology will revolutionize the way we think about LCDs, and how the world can be displayed.